Heading up the team at Whispir Americas, I speak to brands about their mobile engagement efforts every day. The common theme I hear is that everyone wants to improve their customers’ engagement and believe a mobile app would help. 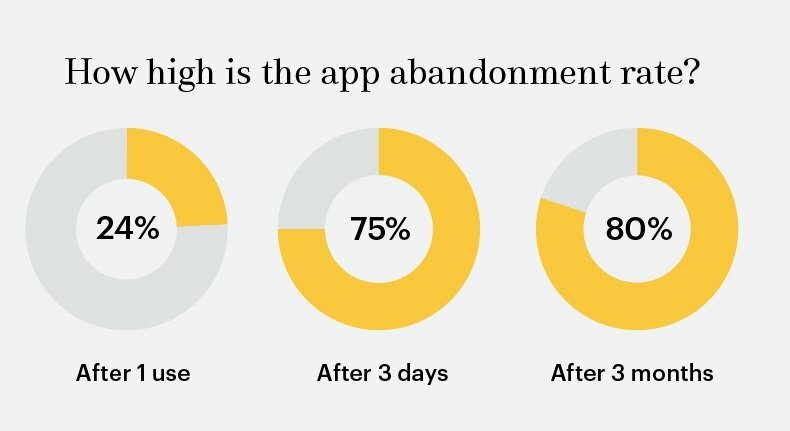 The problem is the end-user experience for mobile apps is crowded; it’s hard to get people to install your app and use it over time. Does this sound familiar to you? Many mobile app strategies enjoy early success. Then the line flattens, and the cost to acquire and maintain engagement increases over time. Your entire customer base wants convenient ways to engage your company - it’s why you built the app in the first place. What if you could leverage the work done to define and test those workflows to engage every last one of your customers? Even the ones who haven't installed your app yet? Then you could get the business results you want, and your customers could get the engagement they want. This is where complementing your mobile app with rich HTML5 micro-apps can make all the difference. 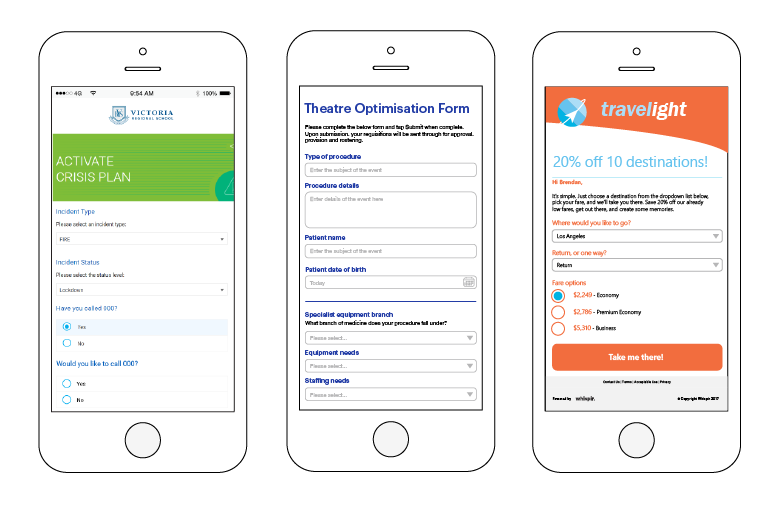 You can mirror the native app workflows using Whispir, deliver those experiences using SMS, Email or Social, and still get the business result of mobile engagement. These revelations are causing brands to rethink their approach. And it’s not just the huge abandonment rate that’s causing concern. The costs of developing apps are high, often exceeding $500,000 USD. 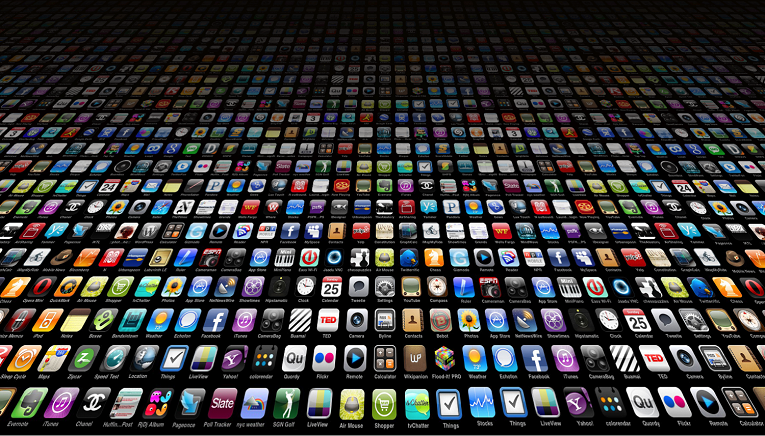 Apps can take up to six months to reach the market. What’s surprising: it’s not the front end that takes time, it’s honing the back-end workflows to succeed on mobile platforms and connecting those workflows to your enterprise systems. This process is often the majority of the total cost to develop an app. Brands want to see a return on their investment. Instead, an increasing number are watching their apps sit with millions of others in the Google Play or Apple App stores waiting to be installed despite the best app store optimization techniques being applied. How to get more from your already-invested capital? What should you do? We say you should make use of the investment identifying and modifying your enterprise workflows to work on mobile, map those workflows into Whispir and instantly give your entire customer base ability to take advantage of that investment. By supplementing your mobile app with up-and-coming techniques like HTML-5 micro-apps via SMS orchestration, you can make the growth numbers you targeted. It’s a big choice with a lot of variables to consider. The consequences of that call will ripple through your company for years to come. Check back next week as I take a close look at 6 of the most common reasons for apps failing, and share some tips for actually building a successful app strategy.